If you want to make predictions for the future, you need to find the trajectory of events in the past. So to work out what shape digital technology will likely take next year, we should look back to the major developments of 2016. And the past year’s developments point to a 2017 shaped by the next phase of virtual and augmented reality, the emergence of an internet for artificial intelligence and the creation of personalised digital assistants that follow us across devices. One technology in particular has dominated the news throughout the year and made the birthday wish-lists of children and adults alike: virtual reality. VR began to bloom commercially in 2016 – with HTC, Oculus (owned by Facebook) and PlayStation all releasing their latest headsets. But 2017 will almost certainly be a pivotal year for VR, given its rather precarious position on the “hype cycle”. This is a research methodology for predicting the commercial dominance of an emerging technology as it matures and goes through periods of increasing hype, sudden disillusionment and eventual success. Presently VR is on the precipice of the “peak of inflated expectations”, where the hype exceeds the reality and quality comes second to novelty. In the hype cycle model, the peak of excitement is followed by an inevitable fall (the “trough of disillusionment”), as consumers realise the gap between what they expect and what they actually get. Here is where opinion is divided on VR. For some this will be a gentle dip, while for others the drop will be a portent to collapse. The big question splitting these opinions is whether the consumer reaction to the VR games and applications currently being released will be the wrath of disillusionment or the mercy of patience. The more convincing assertion is that mobile phone-based VR platforms (with their greater ease of use, lower cost and wider range of games and applications) will help stabilise VR throughout 2017. But stability is not the same as success. VR also has the problem that its consumer appeal is primarily recreational, limited largely to games and 360-degree videos. So far it has had relatively little impact on social or functional applications such as providing an interface for social media. The same cannot be said for its more versatile but currently less well-known cousin, augmented reality. AR – which involves overlaying images of the real world with additional graphics or information – has enjoyed much success of late as a gaming platform, particularly thanks to the release of Pokémon Go. Yet AR functionality already goes beyond games, and it is an ideal delivery mechanism for limitless forms of digital information. Concepts include heads-up displays attached to cyclists’ helmets that provide them with a 360-degree field of view and also alert them to potential dangers by tracking overtaking vehicles. But also applications such as visual overlays that can virtually redecorate your entire home without a single lick of paint. 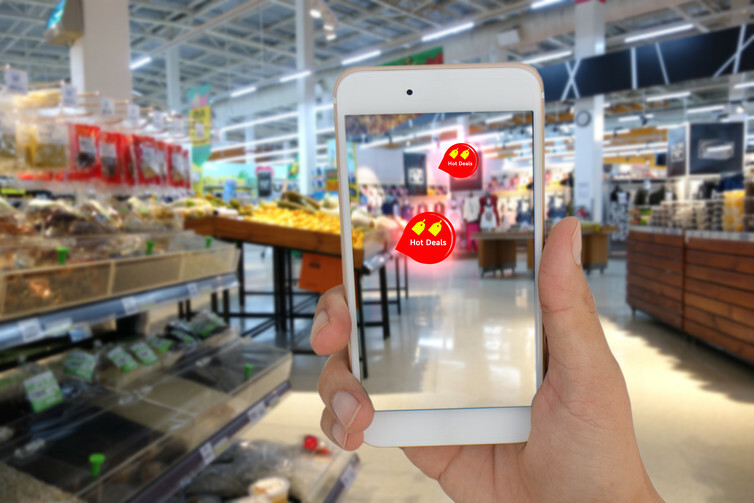 The real future of AR however is in it’s potential to give us a new and improved means of accessing content and services we already cannot do without. As Microsoft’s HoloLens and Google Glass have alluded to, 2017 could see us using AR to check our emails, posting on Facebook and discovering the best route to our meeting place across town, with all content delivered straight to our eyes. Not a single aversion of our gaze or break in our stride required. Current investment in the sector is prioritising advances in relevant underlying technologies such as depth-sensing camera lenses and physical environment mapping systems. This suggests that the industry is readying hardware to ensure these exciting ideas can materialise. It doesn’t mean that all ambitions of AR will be realised in 2017, but they are tantalising possibilities, depending on whether the underlying technology can make them a reality. 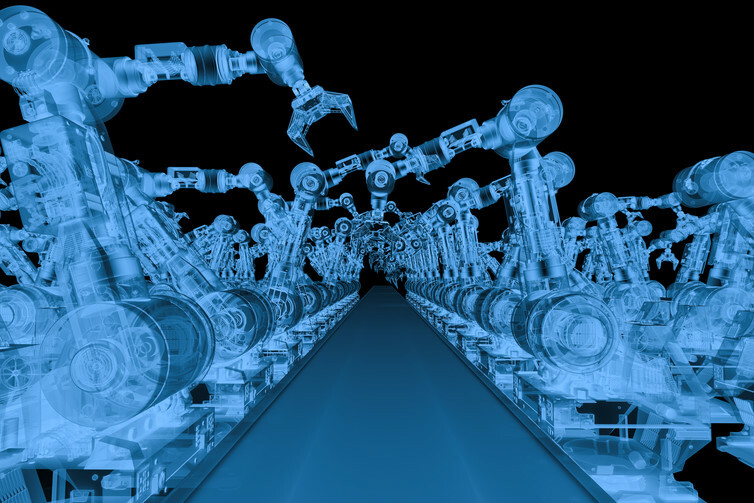 The other area where we are likely to see some fascinating research developments moving into commercial applications is artificial intelligence and machine learning. And the application most likely to dominate 2017 is the Internet of Things, the connection of millions of ordinary devices, from cameras to kettles, to the internet. The concept of the Internet of Things champions our seeming desire for constant connection, with the physical objects we use everyday all linked together in a glorious (or terrifying) chain. 2017 could be the year we’ll all be telling our telling our barista coffee machine at home to prepare us a chocolate fudge Café Cubano from five miles away, using a bespoke interface in our car as we’re driving home. Or perhaps not. But this ethos of interconnectivity is already reaching the realm of artificial intelligence with Cloud Robotics. These systems allow robots that have been optimised for different tasks to work on specific problems individually, but to pass solutions between each other. The robots use the cloud to share the data, enabling it to be analysed by any other robot or intelligence system also connected to the same network. One robot teaches something to another, who in turn develops it and passes it forward in a collaborative effort that could massively increase the learning potential and connectivity of machines. All of these trends comes together for our final 2017 prediction: the rise of humanised digital technology in the form of intelligent personal assistants. These are essentially human-emulating data hubs. They use advances in artificial intelligence to capture and interpret our data, the Internet of Things to operate everything around us, and the advances in augmented reality to project themselves convincingly into our mobile world. This will provide a single, naturalistic interface between us and our digitally connected universe. It is the next iterative step for the likes of Siri, Cortana and Alexa: an intelligent assistant able to travel with us wherever we go, across every device we use, to assist us in nearly every aspect of our lives.